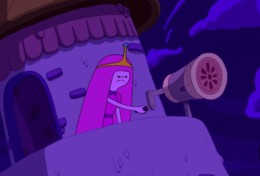 Dylan Hysen, Sam Quattro, & Alex Bonilla recap the series finale of Adventure Time, “Come Along With Me”. Dylan Hysen, Sam Quattro, Alex Bonilla, & Michelle Anderer recap the Minecraft special of Adventure Time, “Diamonds and Lemons”. Alex Bonilla, Sam Quattro & John McKenna cover Adventure Time‘s “Blenanas”, “Jake the Starchild”, “Temple of Mars” and “Gumbaldia”, the final four episodes before the finale (expected to air later this year). Dylan Hysen, Sam Quattro, John McKenna, and Alex Bonilla recap the four December 17th (out on the CN app now) Adventure Time episodes: “Seventeen”, “Ring of Fire”, “Marcy & Hunson”, and “The First Investigation”. The newest marathon of Adventure Time episodes from September 17, 2017, “The Wild Hunt”, “Always BMO Closing”, “Son of Rap Bear”, and “Bonnibel Bubblegum” are discussed by Justin Cummings, Sam Quattro, and Alex Bonilla. Dylan Hysen, Sam Quattro, and Alex Bonilla recap the two latest episodes of Adventure Time, “Whispers” and “Three Buckets”.